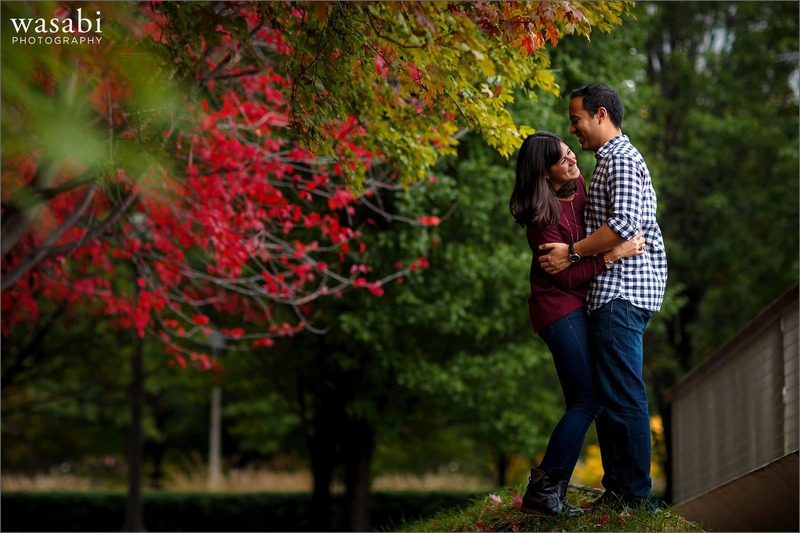 It’s been a while since I shot Millennium Park engagement photos, so I was excited when Rachel and Nish suggested that as our first location. We met up at Miller’s Pub for beers before we started shooting. I always like to start off with drinks, but especially when I’m meeting a couple for the first time as Rachel and Nish were in from Milwaukee. 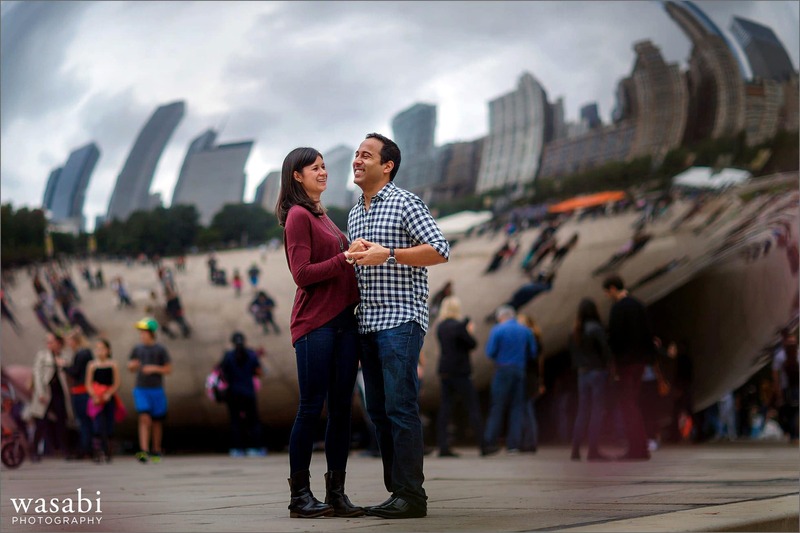 We started at Millennium Park’s Cloudgate sculpture (aka The Bean) before moving through the park into Lurie Garden. 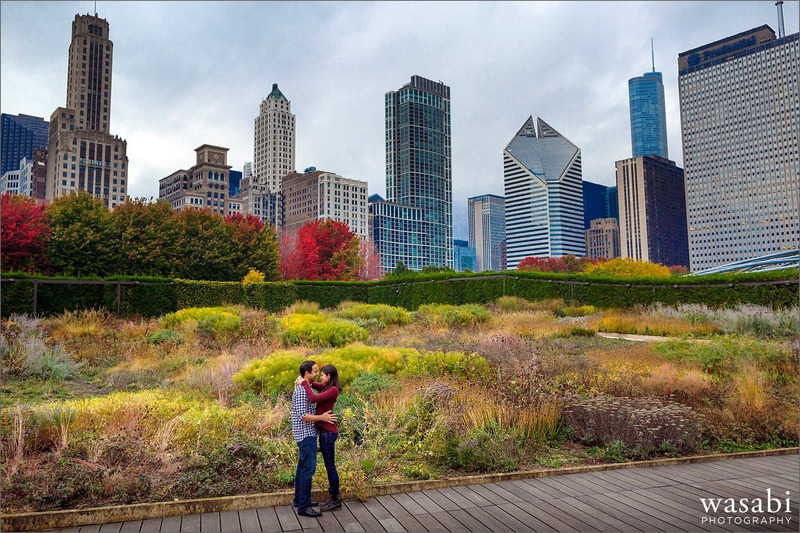 Chicago was in full showoff mode with the fall color and its Red Maple Trees. I used my camera on a monopod trick to shoot through some of the red leaves, but Rachel climbed the tree to show me an alternative method. 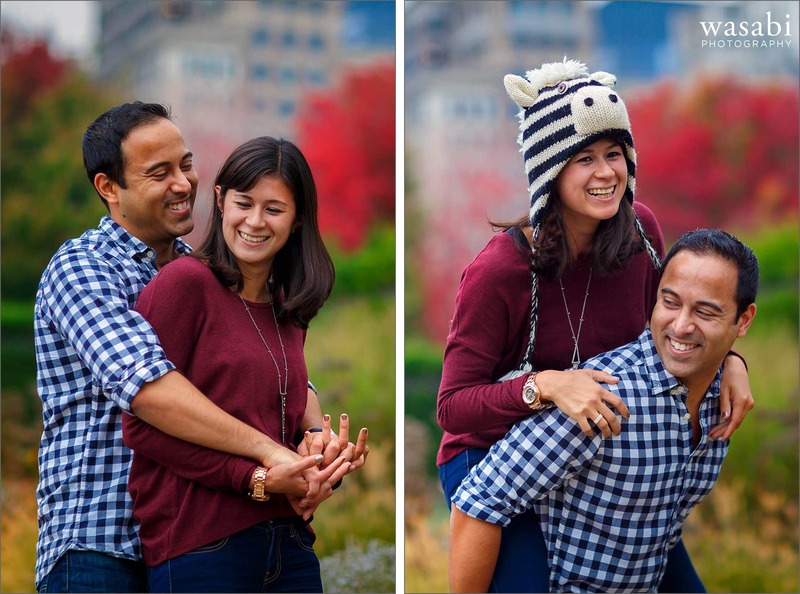 It’s always great when a couple has as much fun as Rachel and Nish did. When she brought out the zebra hat I knew it was going to be a good day! After an outfit change, we headed out to Adler Planetarium. My friend, Lauren met up with us there to assist with lighting. 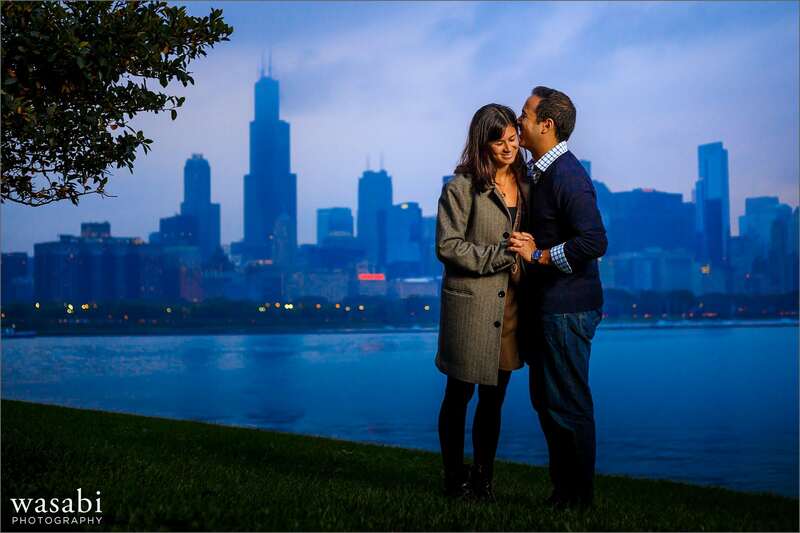 Adler is probably the most popular Chicago engagement photo location, so I always try to find a new way to photograph it. It rained earlier in the day and a well-placed puddle made for a great reflection of the skyline. 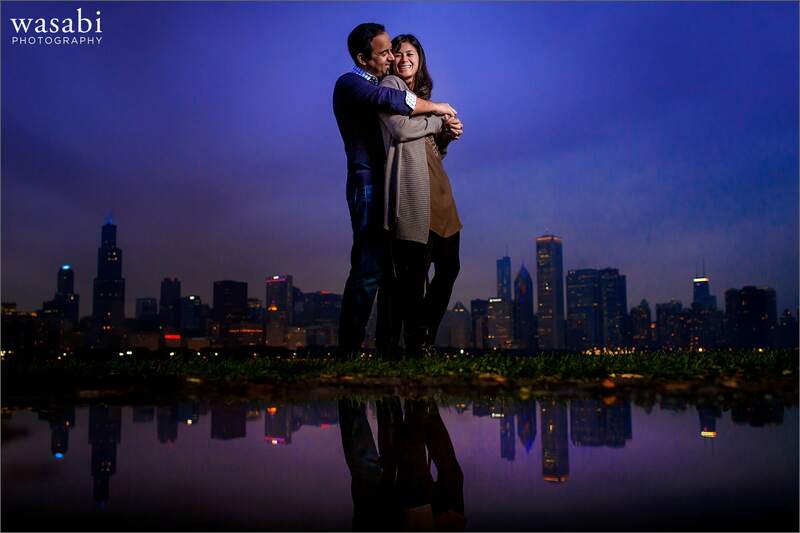 Thanks Rachel & Nish for talking beer and making the most of your time in Chicago! Looking forward to seeing you back here again next summer! What gorgeous pictures! You make a beautiful couple! 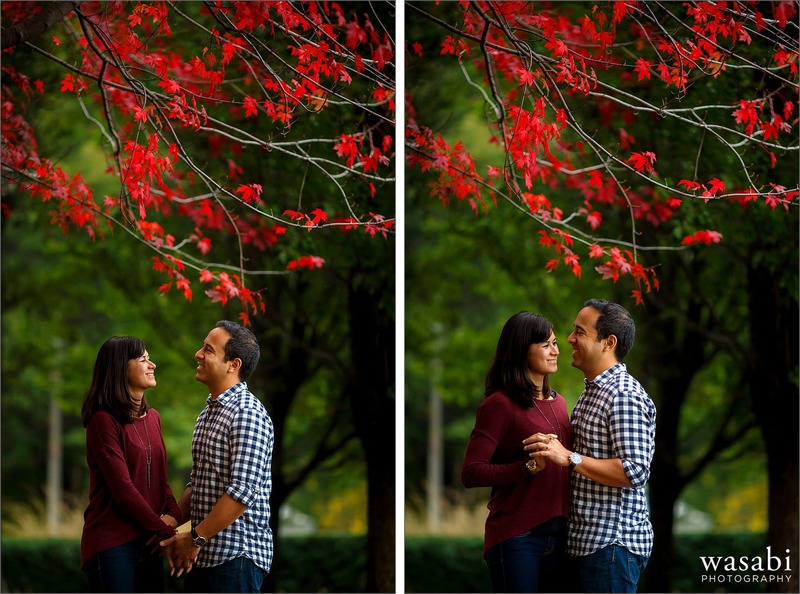 These photos are some of the nicest I’ve seen! You guys look adorable! Can’t wait til the wedding! Wonderful photos, Travis! Thanks very much. 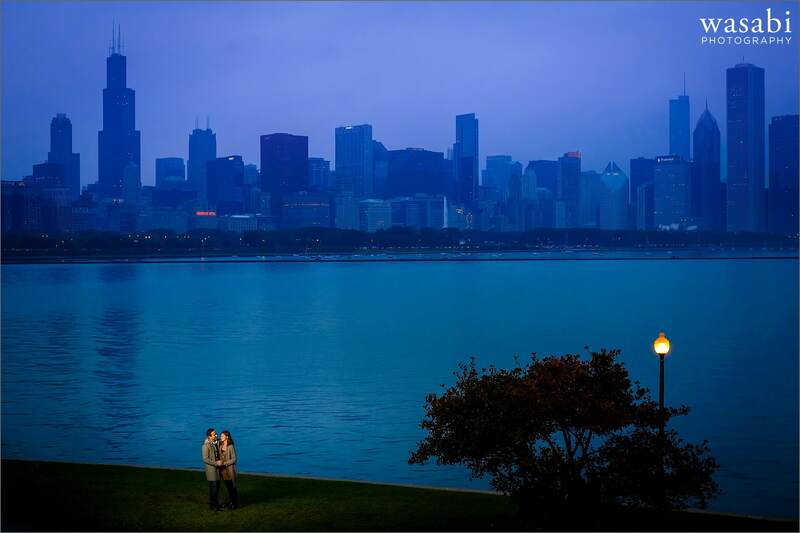 Love your capture of the couple during the blue hour, what a beautiful time of day.